Explore the numerous day-trip ideas around Rovaniemi: Pyha-Luosto National Park (in Pyhatunturi), Korouoma Canyon (in Posio) and Sampo Icebreaker (in Kemi). Spend the 7th (Fri) exploring nature at Syote National Park. There's much more to do: get in on the family fun at Santa Claus Village, get engrossed in the history at Arktikum, Head underground at Syvasenvaara Fell, and take in the architecture and atmosphere at Rovaniemi Church. 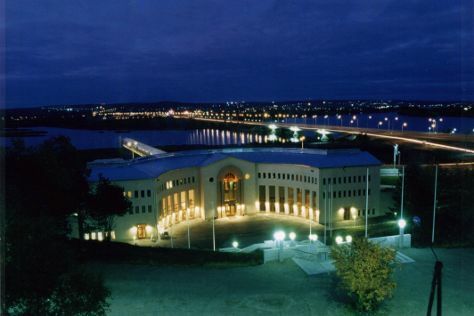 For reviews, other places to visit, where to stay, and tourist information, use the Rovaniemi trip itinerary maker site . In June, daily temperatures in Rovaniemi can reach 18°C, while at night they dip to 9°C. Finish your sightseeing early on the 7th (Fri) so you can travel back home.